Whenever we are in the northeast region of India, one thing we never forget to shop for are the wonderful pickles. Gangtok-based Makhim Delicacies is one of our fave picks. They also deliver to places outside the city. if you haven't been living under a rock, you'd know that the mantra for good health is a healthy gut. And one of the top ways to get that is through fermented foods. Fermented pickles are an easy way to get health benefits and they taste awesome. 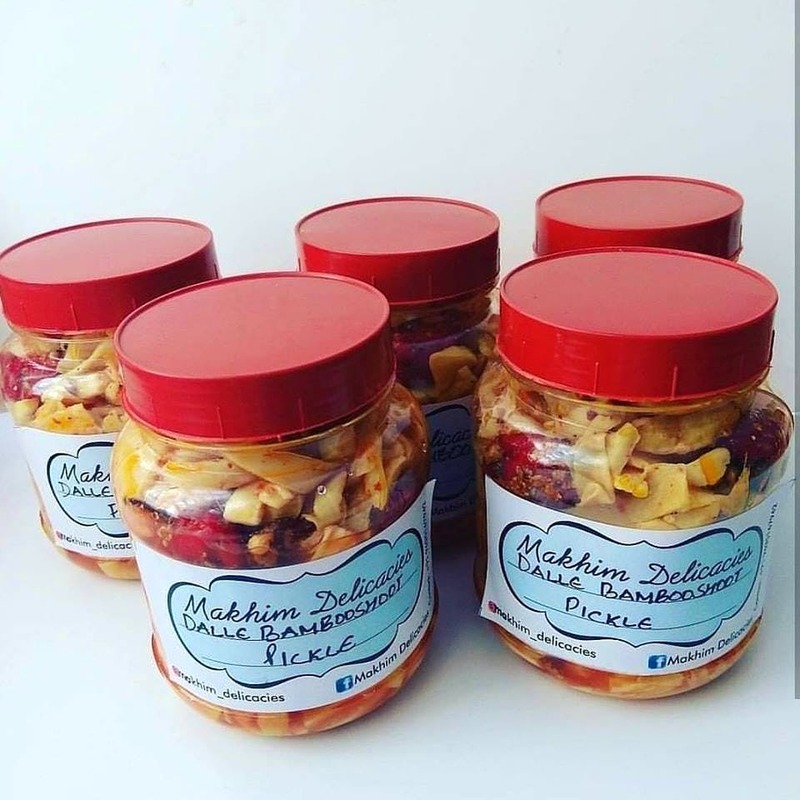 Some of our favourite pickles are the ones you get from the Northeast. So imagine our delight when we came across a Gangtok-based brand that makes them and can deliver outside the state as well! They have shredded beef (INR 300), chicken and fish (INR 280) and the famous dalle pickle with bamboo (INR 200). The latter is tangy and crunchy and has gingery kick. The combination of ingredients make it a brilliantly unusual addition to any meal. Stored in a cool place in sterilised jars, these pickles will last for months – and they’re really healthy. The non-veg pickles have a delicate umami backdrop which we loved. The packaging is in plastic jars and packets - as it so often is with things that have to be delivered long distances. It'd be great if an alternative could be figured out. The courier charges will be extra with the rate decided by the courier company.